When supplying unregulated power to the board, we should connect to the “RAW” pin and not VCC. I/O pins are labeled “D0”, “D1”, … “D13” for digital I/Os, and “A0” to “A7” for analog inputs. There are two TRO and RXI pins. 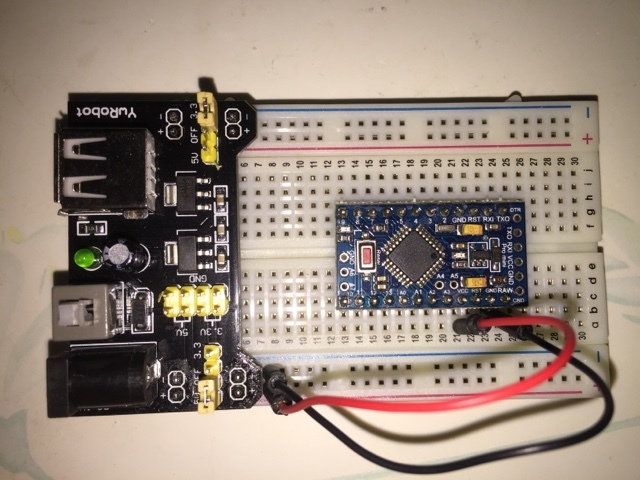 This entry was posted in arduino, microcontroller. Bookmark the permalink.